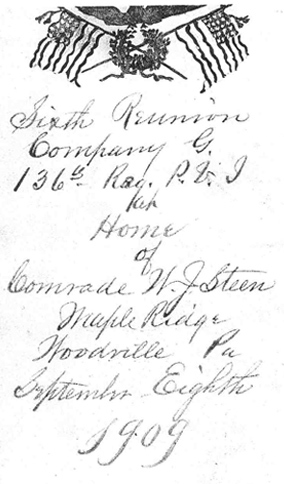 This is a copy of a hand painted invitation to the sixth reunion of veterans of Company G, PA VI. Our thanks to Ed Rech for sharing this. Ed is a ninth generation Ferree descendant on the Daniel & Anna Maria Leininger line. 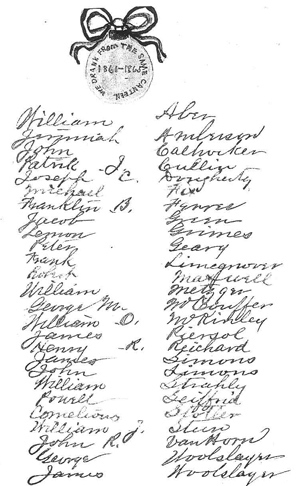 Ed's great grandfather, Benjamin Franklin Ferree, was a member of Company G.